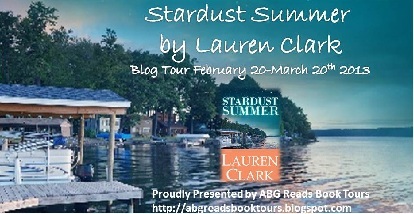 Review: Stardust Summer by Lauren Clark – Escape Reality, Read Fiction! 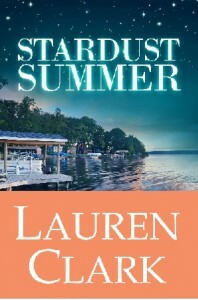 Stardust Summer is about all of those things. It’s about thinking that there will always be time to say good-bye, and then discovering that there isn’t. It’s about being playing it safe, because taking risks involves the risk that you might get hurt. Two women’s lives are connected by one remarkable man. Henry Mason was lucky. He loved his first wife, and mourned her when she died. Then he fell in love with her best friend, and happily married her. His daughter Grace never forgave him for finding happiness with Kathleen. The woman she blamed for her mother’s death. The woman she still blames, over a decade later. Henry Mason is dead. At 57, of a sudden stroke. Grace can’t go back. Only forward. Kathleen is lost. She needs Grace. She needs Evan, the only grandson she will ever have. Kathleen loves them both, but can’t find a way to bridge the years, the resentments, the loss. And next door, Ryan Gordon. Henry’s doctor. Henry and Kathleen’s friend. A man who came to upstate New York with the intention of building a practice and forgot to build a life. His wife left him. He wants a second chance. Escape Rating B+: Stardust Summer is a captivating story. 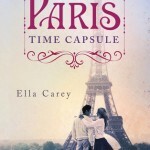 It worked best for me when it focused on the stresses and strains of Grace’s and Kathleen’s relationship, because there was so much there to be worked through! Grace has been so closed off, and she really had a ton of stuff to deal with, not just with Kathleen but the why of what kept her away from her father and from his home in upstate New York. She had frozen herself and her career in a rut after her mother’s death and a disastrous relationship. The love story between Ryan and Grace could have used a bit more heat, or it didn’t need to be as prominent in the last third of the story. Ryan’s regrets about the breakup of his marriage were portrayed well, and I liked the way his sincere grief over Henry was handled. He definitely needed to be involved with Kathleen and Evan, but the love story either needed to be a LOT more, or to remain as merely potential. The heart of this story was Grace and Kathleen finally coming together, and Grace moving past the “stuck point” she had been frozen in for so many years. They are remarkable women, and I enjoyed sharing their story. 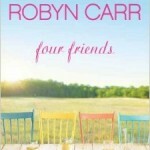 Pingback: Guest Post: Author Lauren Clark is All Shook Up + Giveaway | Escape Reality, Read Fiction!